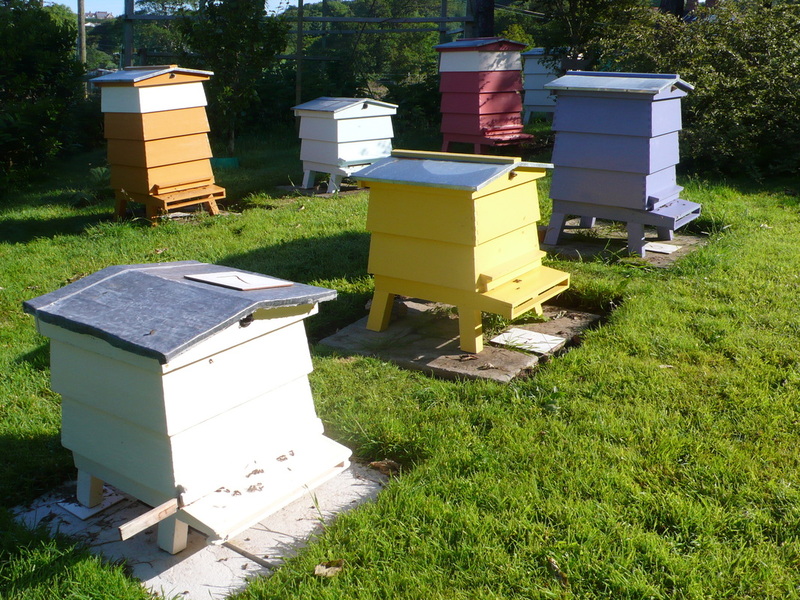 We have around 10-12 colonies of honeybees in the garden mostly housed in 'WBC' traditional style beehives. 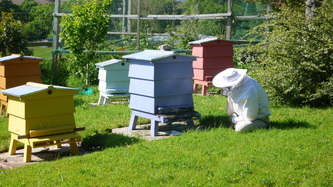 In the summer there may be several smaller boxes with nucleus colonies that have been made from the existing colonies. 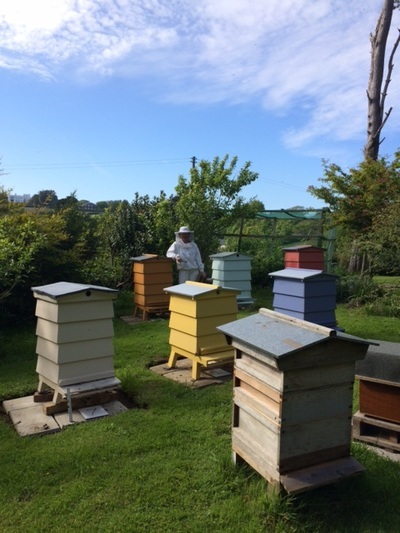 These will have a new young queen and fewer bees, but hopefully by the end of the season will be strong enough to go into winter. Spring and summer are when the colonies are at their strongest, making new queens to reproduce by swarming, collecting nectar and pollen to feed the developing brood and make and store honey for the winter. The beekeeper's job is to keep the bees healthy, manage swarming and to make sure the bees have room to expand and store the honey. 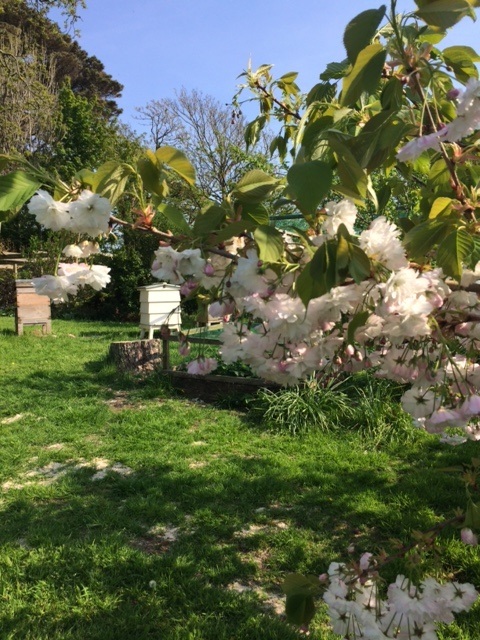 If the weather is good enough, the bees reward us with their surplus honey for our breakfast and tea table. 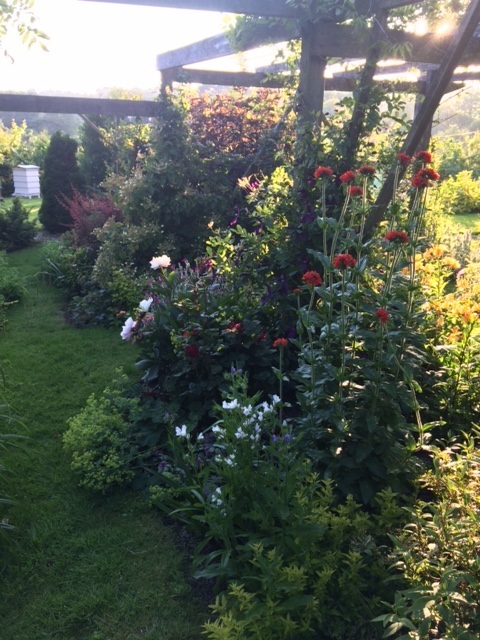 The bees are quite a long way from the house and do not bother you as you enjoy the garden. There is no need to be afraid of honeybees, they are not aggressive. 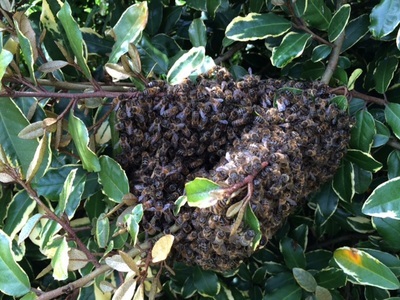 Remember, if she stings you she will die so only stings to defend her home and queen. 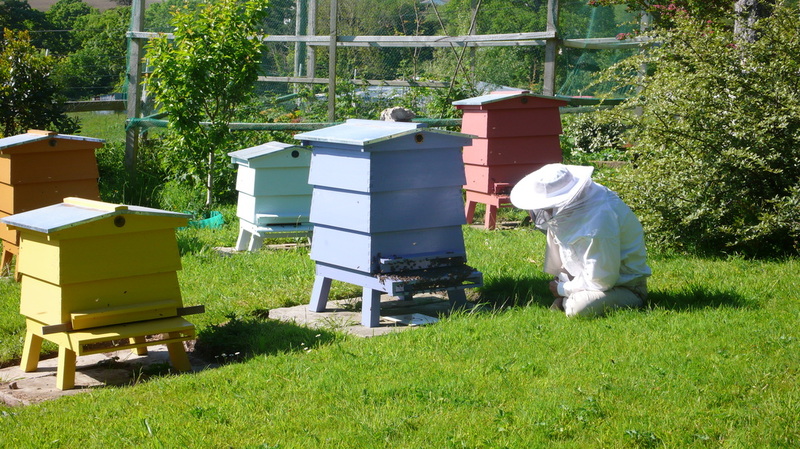 Think you may like to take up beekeeping? 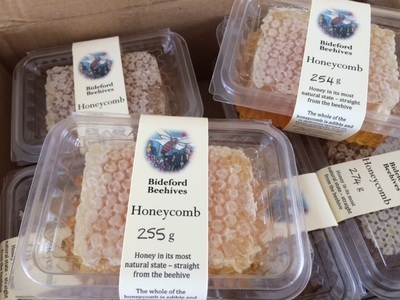 Hopefully I will have honeycomb and jars of honey with honeycomb available. 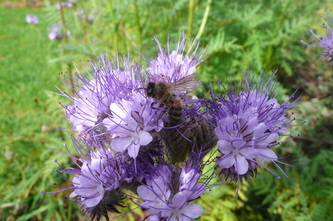 Also beeswax and honey products such as Beeswax Polish, Soap, Lip Balm and Hand Cream.